Thank you to everyone who supports us with this vital source of income. PLEASE NOTE: IF YOU ARE DONATING FOR A SPECIFIC PURPOSE I.E. GIFT OF SIGHT, BROKEN HEART OR OTHER OPERATION YOU MUST PUT THIS IN THE PURPOSE BOX ON PAYPAL OTHERWISE IT WILL BE USED AS A GENERAL DONATION THAT CAN BE USED TO HELP ANY DOG AT MANY TEARS. We have started a fund specifically for dogs who need to see a specialist to see if their sight can be restored and if it can to carry out the necessary operation. It may be that some dogs will not be eligible for surgery but it's between £80-£120 just to find this out. The cheapest surgery we have is about £1800 for one eye and £2000 for both eyes plus VAT. If you would like to donate specifically to our Gift of Sight Fund on PayPal please click the Donate icon below and type "THE GIFT OF SIGHT" where it says "purpose". If you do not have a PayPal account and would still like to donate to this fund, please write Gift of Sight on the back of the cheque. We hope to build up enough funds to enable us to help any dog who need the Gift of Sight. Southern Ireland adjoins Northern Ireland - there are no border controls and no sea that divides it. Dogs walk freely from North to south or vice versa. There is NO rabies in Ireland yet from 01-01-15 many more dogs will die there because the passport law is now being enforced due to EU laws. The cost of a passport from Ireland is 80 euros (just over £60) and many Irish Rescues simply cannot afford this. So if you want to help buy a dog a passport you will definitely be helping to get a dog a to safety and a home. We run a scheme where you can donate unwanted gold and sliver and you can find out more about this if you click the icon. If you send a cheque please write Passport Pounds on the back. Thank you. SO WHAT DOES BECOME OF THE BROKEN HEARTED? Well at Many Tears we try and fix them! Of course, as always this costs money. If you would like to help us mend some broken hearts please click the donate button and put Broken Heart Fund in the purpose box or send a cheque with Broken Heart written on the back to the address below. Thank you so much. This Group is set up for fosters can share their dogs, and adopters can post about their new additions. Please come and join us. MT Millionhairs Match Maker has been set up to help us match people with the right dog and the dog with the right people. 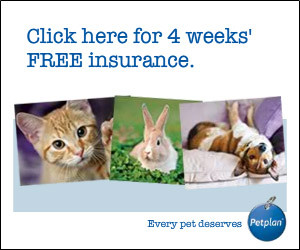 If you are struggling to find a dog click the image for more information on how we can help. We take in many dogs each year in need of eye operations to give them the Gift of Sight. If you would like to make a donation and see some of the dogs who have benefitted from this CLICK HERE. A simple and easy way to help Many Tears is to sponsor a kennel for as little as £1 a day. CLICK HERE for more information. 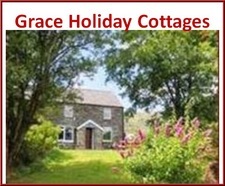 Grace Holiday Cottages are beautiful, very dog friendly cottages, in North Norfolk, the West Coast of Scotland, The Peak District and Snowdonia National Park. Dogs are part of the family, so always go free.10% of all booking goes to Many Tears. CLICK HERE to find out more. Copyright © Marketlayer All rights reserved.